various mystery religions, such as the Eleusinian Mysteries, Christianity, and the mystery cults of Cybele, Mithras, and the syncretized Isis. Early Christianity grew gradually in Rome and the Roman Empire from the 1st to 4th centuries, when it was legalized and, in its Nicene form became the state church of the Roman Empire with the Edict of Thessalonica of 380. Hellenistic polytheistic traditions survived in pockets of Greece throughout Late Antiquity. The Neoplatonic Academy was shut down by Justinian I in 529, a date sometimes taken to mark the end of Classical Antiquity. By the Edict of Milan (313 A.D.), Constantine continued the policy of toleration, which Galerius had established. His legislation against magic and private divination were driven out of a fear that others might gain power through those means. Nonetheless, this did not mean he or other Roman rulers disfavored divination. Instead, his belief in Roman divination is confirmed by legislation calling for the consultation of augurs after an amphitheatre had been struck by lightning in the year 320. Constantine explicitly allowed public divination as a practice of State ceremony as well as public pagan practices to continue. Constantine also issued laws confirming the rights of flamens, priests and duumvirs. From the 350s, new laws prescribed the death penalty for those who performed or attended pagan sacrifices, and for the worshipping of idols; temples were shut down, and the traditional Altar of Victory was removed from the Senate. There were also frequent episodes of ordinary Christians destroying, pillaging, desecrating, vandalizing many of the ancient pagan temples, tombs and monuments. Under the sole rule of Julian from 361-363, Paganism saw an attempt at restoration; while from 363 till 375, under the reigns of Jovian, Valens and Valentinian I, it received a relative tolerance. Upon the death of his father (Valentinian I) in the year 375, Gratian began his actual reign at the age of sixteen. Six days after the death of Valentinian I, Gratian’s half brother, Valentinian II, who was only four years old, was also declared emperor. After the death of Valens, at the battle of Adrianople in 378, Gratian chose a Spaniard named Theodosius I to succeed his uncle. Gratian had been educated by Ausonius who had praised his pupil for his tolerance. Upon the death of his father, Gratian came under the influence of Ambrose, who became his chief advisor. Under the influence of Ambrose, active steps to repress Paganism were taken. Between 389-391 he emanated the "Theodosian decrees," which established a practical ban on paganism; visits to the temples were forbidden, remaining Pagan holidays abolished, the eternal fire in the Temple of Vesta in the Roman Forum extinguished, the Vestal Virgins disbanded, auspices and witchcrafting punished. Theodosian refused to restore the Altar of Victory in the Senate House, as asked by Pagan Senators. During the early part of the reign of Honorius, Stilicho was able to exercise unlimited power over the west. Stilicho exercised moderation in his religious policies and enacted laws that were favorable to the Pagans. Consequently, during the time in which Stilicho held power, the Pagans enjoyed a brief respite from persecution. In the year 395, Arcadius declared that the solemn days of the pagans were no longer to be included in the number of holidays. In the same year, another law was passed by Arcadius that prohibited anyone from going to a pagan sanctuary or temple or of celebrating any kind of pagan sacrifice. This law seems to have been targeted at those Christians who were converting back to paganism as it specifically mentions "those who are trying to stray from the dogma of the catholic faith." In the year 396, the privileges of pagan priests and other clerics were officially revoked. In the same year, Arcadius ordered that pagan temples standing in the countryside were to be destroyed without disorder or riot. This law seems to indicate that the number of pagans in the countryside was still too large for the Christians to openly destroy the temples that were located there. As a result, Christians had to be content with destroying the pagan temples that were located in mostly municipal areas where they could easily outnumber the pagan inhabitants. The large number of pagans in the east also seems to have forced Arcadius into allowing the ancient festivals and public games to continue. Meanwhile, three laws were enacted in the west in the year 399, under the influence of Stilicho, which were relatively favorable to pagans. Due to the riots caused by Christians in their attempts to destroy the temples, the first of these laws protected pagan temples from the destruction of Christians who pretended that they had been authorized by the government to destroy them. The second of these laws acknowledged the right of the people to continue to participate in the traditional banquets, shows, gatherings and amusements associated with the old pagan religion; it did, however, forbid the public performance of any pagan rites or sacrifice. The third law forbade the destruction of pagan temples that had been cleared of forbidden things and ordered that they were to be kept in good repair. After the death of Stilicho, Honorius and his party in the state gained control and harsh laws against paganism were once again enacted. 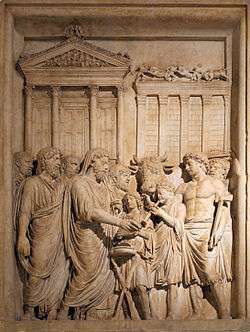 In the year 408, Honorius enacted a new law which ordered that all statues and altars in the temples were to be removed and that the temple buildings and their income were to be appropriated by the government. This law also forbade the holding of any pagan banquet or celebration in the vicinity of the temples. The execution of this law was placed in the hands of the bishops. Two other laws decreed that buildings belonging to known pagans and heretics were to be appropriated by the churches. Arcadius died in 408 and his eight-year-old son, Theodosius, was thereupon proclaimed emperor in the East. In the same year, Honorius enacted a law that prohibited anyone who was not catholic from performing imperial service within the palace. Zosimus reports that Honorius was forced to repeal this law after one of his best officers, who happened to be a pagan, resigned in protest. At the beginning of the year 409, Honorius enacted a law that punished judges and officials who did not enforce the laws against pagans. This law even punished men of rank who simply kept silent over any pagan rite performed in their own city or district. The hopes of pagans were revived with the elevation of Priscus Attalus, at Rome, in the year 409. 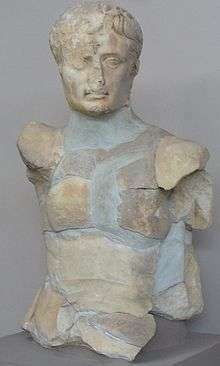 Alaric, an Arian Christian, soon tired of his puppet, however, and Attalus was deposed in the summer of 410 when Honorius promised to negotiate a peace treaty. When these negotiations failed, Alaric took and sacked the city of Rome. This catastrophe shocked the entire Roman world. Both Christians and pagans quickly began to blame each other for something that had hitherto been thought impossible. In this heated atmosphere, Honorius once again reiterated his anti-pagan legislation. There are numerous fragments extant of several Pagan historical works, such as the works of Eunapius and Olympiodorus, which indicate that pagans were now openly voicing their resentment in writing. Even after the sack of Rome, in the year 410, pagans believed that the recent decline of Rome had been caused by the neglect of the ancestral traditions. In the year 415, Honorius enacted yet another law that appropriated the Pagan temples throughout the Roman Empire to the government and ordered that all objects that had been consecrated for Pagan sacrifices were to be removed from public places. A prominent example of the anti-pagan climate at the time is the case of the philosopher Hypatia of Alexandria, killed by a mob in 415. In 416, Honorius and Theodosius II ordered that pagans would no longer be admitted to imperial service nor would they be allowed to receive the rank of administrator or judge. In 423, Theodosius II reiterated the previous laws against Pagans and declared that all Pagans who were caught performing the ancient rites would now have all their goods confiscated and be exiled. In August of the year 423, Honorius died and power was seized in the west by John, who had held the office of Primicerius Notariorum. John appears to have ushered in a period of religious toleration. John seems to have attempted to curb the power of ecclesiastics and the privileges of the church in an attempt to treat all people equally. In the year 423, Theodosius II published a law that demanded that Christians (whether they were really such or pretended to be so) were not to disturb Pagans who were living peaceably and doing nothing contrary to the law. In 425, Theodosius II sent an expedition to the west to depose John and establish Valentinian III as emperor of the west. After John was captured and executed, Valentinian III was proclaimed emperor in the city of Rome. While in the west, Theodosius II enacted two anti-pagan laws in the year 425. The first of these stipulated that all pagan superstition was to be rooted out. The second law barred pagans from pleading a case in court and also disqualified them from serving as soldiers. Theodosius II then left Valentinian III to rule the west and returned to Constantinople. As a result of the revolt, Zeno instituted a harsh persecution of pagan intellectuals. With the failure of the revolt of Leontius, some pagans became disillusioned and many became Christian, or simply pretended to, in order to avoid persecution. The Christianization of the Roman Empire became complete when the emperor Anastasius, who came to the throne in 491, was forced to sign a written declaration of orthodoxy before his coronation. 440 to 450 All Hellenic monuments, altars and Temples of Athens, Olympia, and other Greek cities are destroyed. As German historian Gregorovius, in his "History of Athens" says, the pagan monuments of Athens and Greece were the best preserved among other monuments in the late Roman Empire. 529 Emperor Justinian closes the Academy of Athens. Some of the remaining Academy members—"whose occupation was gone" according to J.B. Bury—flee to Ctesiphon, the capital of the Sassanid emperor Khosrau I. Modern historians such as Blumental and A. Cameron claim that the Academy continued to exist for almost 50–60 years after 529. 1 2 3 4 5 6 7 8 9 "A History of the Church", Philip Hughes, Sheed & Ward, rev ed 1949, vol I chapter 6. 1 2 "Julian the Apostate and His Plan to Rebuild the Jerusalem Temple", Jeffrey Brodd, Biblical Archaeology Society, Bible Review, Oct 1995. ↑ "The Memorial of Symmachus"
↑ "Letter of Ambrose to the Emperor Valentinian", The Letters of Ambrose Bishop of Milan, 384AD, retrieved 5 May 2007. ↑ The Edict of Milan, complete text in English (Constantine, 313 A.D.). Gbgm-umc.org. Retrieved on 2013-07-28. ↑ Zosimus 2.29.1-2.29.4, Theodosian Code 16.10.1. Laws against the private practice of divination by Roman citizens had been enacted ever since the time of the emperor Tiberius. It was his fear that Roman citizens would fall outside of the official public Roman religion, accept foreign cults in their private family practices, and in turn corrupt the general Roman state. ↑ Sheridan, J.J. (1966) The Altar of Victor – Paganism's Last Battle. in L'Antiquite Classique 35 : 186-187. ↑ Sozomen Ecclesiastical History 3.18. ↑ Ammianus Marcellinus Res Gestae 9.10, 19.12. quote summary: Ammianus describes pagan sacrifices and worship taking place openly in Alexandria and Rome. The Roman Calendar of 354 cites many pagan festivals as though they were still being openly observed. See also the descriptions of pagan worship in the following works: Firmicius Maternus De Errore Profanorum Religionum; Vetus Orbis Descriptio Graeci Scriptoris sub Constantio. ↑ C. G. Herbermann & Georg Grupp, "Constantine the Great", Catholic Encyclopedia, 1911, New Advent web site. 1 2 "FLAVIUS CLAUDIUS JULIANUS", Karl Hoeber, Catholic Encyclopedia 1910, retrieved 13 May 2007. ↑ Ammianus Res Gestae 20.9; Themistius Oration 12. ↑ "Letter of Gratian to Ambrose", The Letters of Ambrose Bishop of Milan, 379AD. ↑ Zosimus (4.35) indicated that change occurred in Gratian’s character when he fell under the influence of evil courtiers. ↑ Ambrose Epistles 17-18; Symmachus Relationes 1-3. ↑ Sheridan, J.J., "The Altar of Victor – Paganism’s Last Battle." L’Antiquite Classique 35 (1966): 187. ↑ Theodosian Code 16.10.20; Symmachus Relationes 1-3; Ambrose Epistles 17-18. ↑ Catholic Encyclopedia (1912) article on Theophilus, New Advent Web Site. ↑ Ramsay McMullan (1984) Christianizing the Roman Empire A.D. 100–400, Yale University Press, p.90. ↑ Kotynski, p.3. For more information about the question of this date, see Kotynski. ↑ Eunapius reflects some of the Pagan attitudes of this period in his writings. His attitude, however, represents the most fanatical element of the Pagan reaction. ↑ Theodosian Code 16.5.43; Constitutiones Sirmondianae 12. ↑ Zosimus 5.46; Theodosian Code 16.5.42. ↑ Theodosian Code 16.10.22, 16.10.23, 16.8.26. ↑ A law in the Theodosian Code (16.2.47) refers to a tyrant who issued edicts in opposition to the church. This tyrant (i.e. usurper) is most likely to be identified with John the Primicerius. ↑ This law (Theodosian Code 16.10.24) is interesting because it officially recognizes the fact they were many people who only pretended to be Christian. ↑ Theodosian Code 16.7.1, 16.7.2, 16.7.3, 16.7.4, 16.7.5, 16.7.6; Justinian Code 1.7.2. ↑ Theodosian Code 16.10.25. Theodosius II married Eudocia, the daughter of a Pagan sophist named Leontius, who herself patronized various Pagans including Cyrus of Panopolis and the poet Nonnus. ↑ These laws (Justinian Code 1.11.9, 1.11.10) do not give any date nor do they mention the emperors who promulgated them. ↑ Theophanes Chronographia s.a. A.M. 5976-5980; John Malalas Chronicle 15.12-15.14. ↑ There continued to be a sufficient number of pagans during the reign of Justinian for a law to be published, in 527 (Justinian Code 1.5.12), which barred pagans from office and confiscated their property. ↑ "Chapter XXII, ECCLESIASTICAL POLICY, § 3. The Suppression of Paganism". University of Chicago. Athanassiadi, P., "Persecution and Response in Late Paganism: the Evidence of Damascius", Journal of Hellenic Studies 113 (1993), 1-29. Harl, K. W., Sacrifice and Pagan Belief in Fifth- and Sixth-Century Byzantium, Past and Present (1990).